The Mariana Waste Management EIS (MWM EIS) invests in asset-backed companies that offer a service for the disposal of end-of-life plastic waste that can’t be recycled. Crucially, both costs and revenues are set under long-term contracts from the outset which means returns from this investment should be relatively predictable. We target a £1.10 per £1.00 invested target return and all funds will be invested in the current tax year. This landfill percentage is high for a few reasons – partly because we don’t recycle as much as we should, but also because most of the plastic we use in the UK is ‘end-of-life’ plastic; meaning it can’t be reused or recycled via readily available methods. Local councils and waste management companies therefore have little choice other than to dump the waste they collect on landfill sites and, as a result, face a heavy financial burden. It costs upwards of £120 per tonne to place plastic waste on landfill sites. The MWM EIS investee companies will offer a service for the disposal of plastic waste that otherwise would have been taken to landfill sites. This service is offered at a significant discount to the cost of taking the waste to landfill – meaning the waste management companies can enjoy a large cost saving. The investee companies will dispose of the waste via a process called pyrolysis. Pyrolysis is a process which involves heating the plastic waste to a high temperature, in the absence of oxygen, and condensing the gas that is released. Essentially, it turns the plastic waste into an ungraded oil which need not be taken to landfill and can be reused for an alternative purpose. The oil can be further refined into a number of industrial products including diesel, hydraulic oil and lubricant. Each investee company will own and operate one or more pyrolysis plants. Each investee company will contract with a reputable waste management company. The long-term agreements will stipulate a fixed amount of waste (10,000 tonnes per annum, per investee company) and a fixed price they will be paid for processing it. Each investee company will contract with a reputable third party for the sale of the ungraded oils produced from the process. The Long-term agreements will stipulate a fixed price at which the oils will be sold during the contract’s term. 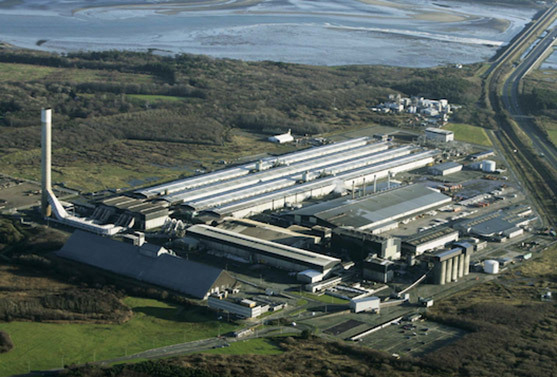 The pyrolysis plants will be installed on the Holyhead Eco Park in Anglesey; a 200-acre industrial site previously owned by Rio Tinto. We have secured a long-term lease agreement for some of the buildings on the site, in which the plants will be installed. The Investee Companies will each own and operate their own pyrolysis plants and we anticipate the assets will preserve approximately 60% of their value within the 3-4 year investment period. Mariana’s Investment Team are confident the infrastructure used to dispose of/treat the waste has a track record of performing to high operational standards. The cost of installation, operation and maintenance are predictable. This is an important factor in reducing investment risk as cost parameters are largely defined at the start of the Investment. The long-term contracts will mean that returns can be estimated at the point of investment. Given the costs and revenues are set under long-term contracts with reputable counterparties, returns from this investment should be relatively predictable. If you are interested in further information about Mariana Waste Management EIS, please contact us on info@kuberventures.com or +44 (0) 20 7952 6685.